Celebrate this very special time of year with a beautiful gift of flowers. Send flowers to friends and relatives in Cheltenham and surrounding areas. We hand deliver all our floral arrangements thus ensuring freshness and quality. This year our floral arrangements include delightful yellows and golds. Order before 2pm for same day delivery. Why not treat your loved ones to beautiful gift today. So whatever your floral needs be it Birthdays, Weddings, or Funerals. 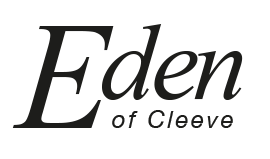 Celebrations or Sympathy, We at Eden Flowers In Bishop's Cleeve are confident we can help. Order online today, call on 01242 676400 or even better why not visit our store in Bishop's Cleeve Gloucestershire GL52.